he Tokyo Aurora font is a simple font, comes with alternate symbols and some ligatures. You can use this font for watermark on photography, signature or signature logo design, quotes, album cover, business card, and many other design project. 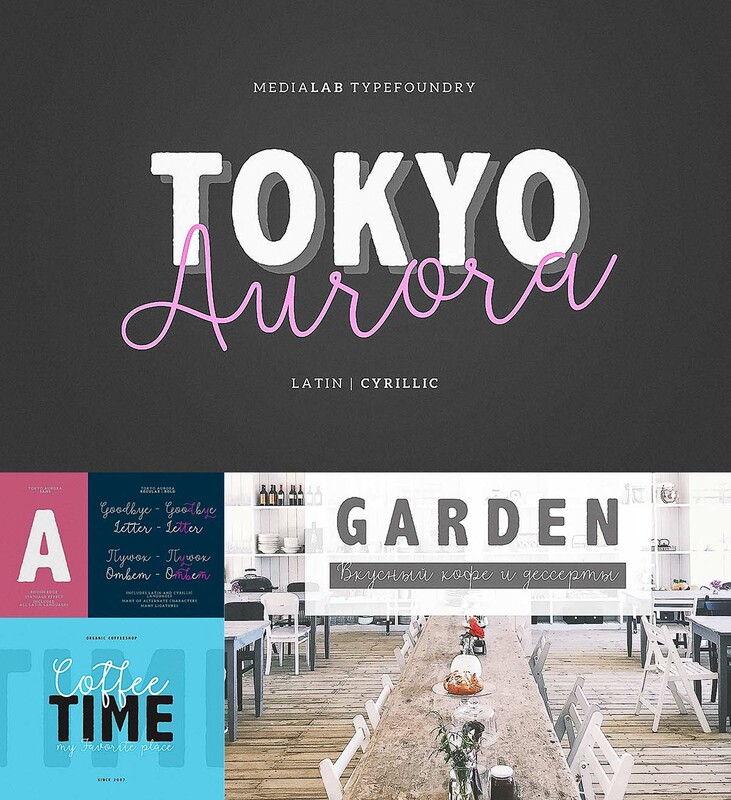 Tags: cute font, cyrillic font, cyrillic script, fancy font, font duo, lettering, signature font.